The final email in the series touched on River Bank Repairs from Flash Floods. This was the primary reason for the flood in that area of the US. In the Wilson County, Texas, there exist sandy clay soils, which are highly susceptible to erosion. 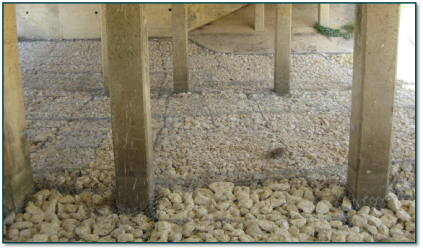 Un-vegetated soil is more susceptible to erosion and is common under bridges due to the high heat, lack of sunlight, and sparse rain. When creeks do collect water, there is an impact on bridge abutments, banks and foundations.